Events in Kenya have had a sort of reawakening. People are thronging to events in droves and event organizers have responded by putting together even more events. For some time now there hasn’t been a comprehensive events website in Kenya. Nairobi Now has tried but they post events haphazardly which means one can’t view events by date. That’s where Gigwapi comes in. Gigwapi is a web listing for events that makes it easy for users to connect with the type of events they like. The events are grouped in dates and type which makes it easy for users to discover events. We talked to Gigwapi’s co-founder Kinyanjui Njonde to learn more about the startup. The idea stage was in early 2012 while still in campus. The initial idea was to list all the offers around various clubs and shops around the campus. In Early September, we got incubated at the Nailab with the same idea but after market research we had a pivot and started listing all events, and fun things to do in the country to cater for a growing need from the emerging middle class in the country. Setting up a team. We started as 4 founders however 2 of them had to drop out due to personal and commitment issues, which meant we had to restructure and work extra hard. Getting the right and competent talent has been the biggest issue so far. What has your startup achieved so far? Currently we have launched the minimum viable product to the market and we have had a positive reception in the market both from our end users and event organizers. We are getting over 15,000 page views a month 5 months after launch with no marketing budget. In four months of being in existence we had been invited and mentioned as a top 40 startup in Africa by Global innovation through science and technology (GIST). We also made it to the final round of the Pivot East 2013 completion. We were also invited as an exhibitor in the IST Delegate conference as Technology innovators. When we began we set our true north and we had been true and committed to the cause. We also have received a lot of support from our mentor at the Nailab and families members who didnâ€™t really understand what we were doing in the beginning. What are your thoughts on startups in Kenya? 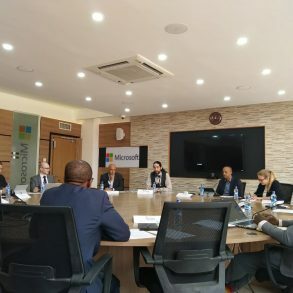 Kenya being an emerging market makes it the right place and time to start or launch a startup that addresses or solves a problem using technology. The right strategy will get you noticed quickly and probably propagate your growth fast enough. At this stage is when you need to have the right team set up, a mentor to guiding you especially when dealing with investors and have business structures set up. At least for us, having all these thing have helped us avoid and deal with a lot of unknowns that have come our way. Which key individuals have been of great help to your startup? All the team members have been instrumental to our success. My co-founder Erick Waithaka, Trevor Mutune our product development, Aura Soothe our newest addition in the marketing department, Edwin Mbugua, helping on development on voluntary basis. Also, the priceless mentorship we have received from the Sam Gichuru and the Nailab team. Going forward, what does your startup need? What we need is strategic partnerships with event organizers, artists and basically influential people in the entertainment industry. Check out Gigwapi.com and connect with them on Facebook and Twitter. Good work Kinyanjui, you are facing the right direction stick to it. True. When I hear the word “startup”, I expect a custom-coded site/app with APIs and such. Not a WordPress or Joomla theme as is the case with Ghafla. Anyone could do this with WP. I’m not discrediting them for their efforts but what were they being mentored about? You must be a dev 🙂 Tech is transparent to the user, the question should be, Does it work? If the solution works, it works. Its true it can be done better, any solution can be done better. 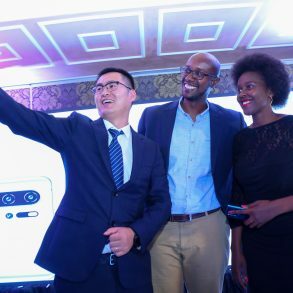 they had an idea, turned it into a product you can use right now, too many kenyan startups get bogged down in the technical details to get the product out. You have to give the props for at least that, getting a working product out. Bobby, I’m glad you said this much coz those are my exact sentiments, and I’m a dev. Someone here even mentions use of APIs as if the dev who uses a 3rd party API has done more work than he who installs a wordpress plugin! After all, the value of a product is and will never be the time and effort it has taken to develop. Conversely, in the fast paced world of technology, it is usually about the timeliness rather than depth and expense of an innovation that matters. In my view, if wordpress works perfectly, then it must be used and extended, if need be, until a time that it no longer works for Gigwapi. Anything else is an unnecessary cost and a waste of time and resources. See, that’s the problem. It doesn’t work as it should. Perhaps WordPress can be used to launch a startup, but how much room for growth does it give. With the ATM, you’re right: no one cares as long as it works. But the limitations of this site are so glaring. The front-end could use some work, and backend can be improved to make event management easier. Has any PHP custom work been done? Does anyone at the startup understand enough PHP to tweak the backend, add new features, plugins and such? It’s really a fallacy when you say “as long as it works”. A startup that finds it hard to grow isn’t a promising one. Sooner or later, they’re gonna have to ditch WordPress if they want to be around for a while. That’s right. A techie must be on board. But it looks like everyone at the stratup is a business person. And the “techie” doesn’t understand his PHP enough to make WordPress bend over backwards to provide a powerful solution. Do you realize how easy it is to replicate Gigwapi? They do not even hide the theme they’re using. There’s nothing proprietary about them. How can anyone fund people setting up WordPress theme, people who go on the ground manually to collect event listings? This is a website based startup (online) and as such, quality cannot be compromised. Let me tell you some of the best startups that never considered a CMS for their site design: EventBrite, Pinterest, Tumblr, YouTube, Facebook.. Look at how they’ve scaled now! A top 40 startup? Built on WordPress? And what has WordPress got to do with the startup’s success? What matters is are you solving a problem not are you using WordPress or any other CMS out there? Addressing a need in the society is what makes $$ not what one is using to address that problem. But I can solve the same problem too by downloading the same theme and installing it in less than two hours. Then I’ll call myself Gigwapii.com. I’ll take a friend or two and go to all clubs in town asking them to submit their events on the site. Plus all the aggressive online marketing strategies you’ve ever heard of. I believe you have heard somewhere that; success is 1% idea and 99% execution. An idea’s worth depends on how you execute it. The real scarcity we have in this world is not the shortage of ideas but it is the lack of people to work all day and night to realize them. Funny. Thinking that a theme+domain = business ? @kinyanjui:disqus if I were you, I’d invite all the critics here to a round table, starting with @JoeyOmaita:disqus to help improve your product. Your critics are the best form of advice you’ll ever get, and you are missing the point fighting them. Interesting debate so far. I agree with @JoeyOmaita:disqus there is little to no competitive advantage if the service can be so easily replicated. I’ll also mention, the reason why many successful startups build custom apps is to sharpen their competitive advantage and differentiate. Google, Facebook, etc. even build their own servers. The main point with the whole WP thing is that it’s not very extensible, has little facility for robust customization and can be easily copied (besides the fact that no serious VC/Angel will touch you as things stand). Also, there was mention of a problem being solved. If you have defined the pain point, then you have the product. For example, EatOut solved a pain point, getting good reliable info on restaurants (a real pain point!). So concentrate on defining what pain point you are addressing (remember Kenya Buzz dominates this niche and they have first mover/top dog advantage), how you will get traffic, and finally monetize that traffic. Lastly, no real entrepreneur is “forced” into entrepreneurship, as you say you were, neither do they send 1000 CV’s/cover letters before choosing entrepreneurship. Perhaps you should think about his too, do you want a job/cash or do you want to change the world (as Steve Jobs would have put it)? This could be the difference between your start-up succeeding and failing, also will help you find the right partners. reminded me of this specific discussion. The issue isn’t that the site is built on wordpress as @JoeyOmaita:disqus points out, but that the overall look of the site is not good. Design matters. It doesn’t have to be a fully featured site but design plays a big part on the impressions your users will get when visiting the site. And from what I can see @disqus_ysJ8RjBUzK:disqus has already taken the feedback positively and made changes to the looks. Good work bro. and the list is endless before you go yapping about how good you are coder….remember the what matters is “does the solution work?” And then if it does whats the problem if it’s CMS or not? 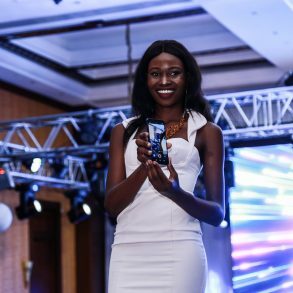 It looks like there is another revolutionary Kenyan event listing website making Waves in Kenya named EvaS Guide. Check out http://evasguide.com. It offers free listing with an option for featured listing, a slideshow of featured events, maps to events, a more wider variety of categories to choose from, a gallery. It appears to have a wordclass appeal in design and functionality. This one is certainly way ahead of any competition in the free events directory in Kenya because there is no manual listing and they have a clever way of monetizing. You as the event planner/promoter list your event and edit it as you see fit. I agree with our friend Danielmbure, the implied need for partnerships means you are nothing without them, if they come Great! if not, you should be able to excel without them. Infact, businesses which excel all on their own attract more worthwhile partnerships that bring something totally new on the table.